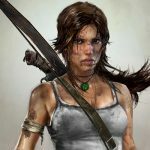 Tomb Raider: Reboot or Deboot? The October 30th Disney acquisition of LucasFilm certainly led to speculation about the seventh Star Wars movie and its other major movie franchises, but it also has significant impact in the video game world. Here are five things we can expect from the video game division of LucasFilm, LucasArts, after its Disney acquisition. Do you like Star Wars: Knights of the Old Republic? How about the Battlefront series? Or maybe Monkey Island is more to your tastes? I have some mixed news for you—we’re going to see a lot more of these games, and a lot more often. Since Disney plans on turning the Star Wars series into its own version of James Bond, it’s very likely that we’ll see games for each film to go with them. Along with that, it would be very strange for Disney to turn down the opportunity to revamp and churn out brand new games in series that have already proven popular, such as Battlefront. Unfortunately, whether or not these games will have the same quality as they did when LucasArts had fewer people over their heads is still up for debate. It’s strange enough to see jarring styles in video games (one of the worst offenders that comes to mind is the realistic appearance of the Pirates of the Caribbean area in KH2, contrasting with the cartoony models of the main characters), and it will be even stranger still as Disney opens the door and mixes their new acquisitions together. Getting a bit of Star Wars or Indiana Jones into their Kingdom Hearts series is obviously the first conclusion, but can you imagine what a Lego Epic Mickey would look like? Or perhaps a Disney character appearing in the Star Wars games? With luck, Disney will resist using their new acquisition as crossover material…but let’s be honest, it’s inevitable. LucasArts isn’t free of crime when it comes to taking care of its own franchises. It’s constantly pushing out new games and not all of them are top-quality. If the quality of Epic Mickey and Kingdom Hearts are any examples, Disney is trying to make a good impression on the video game industry after its older and less classy PC games didn’t make a splash. If they want to continue this trend, they will hopefully pick up these games and treat them the way they deserve—or perhaps listen to the will of the fans and put out a Battlefield 3 for once. In the end, LucasArts has officially stated that the whole transaction is business as usual. Their work will not be interrupted and they should proceed normally for the rest of the year or more. Their games will continue to hit the market and they thankfully have no worries of closing down. In the coming years this may change, but ultimately LucasArts is still the main contributor to the many game franchise it owns.